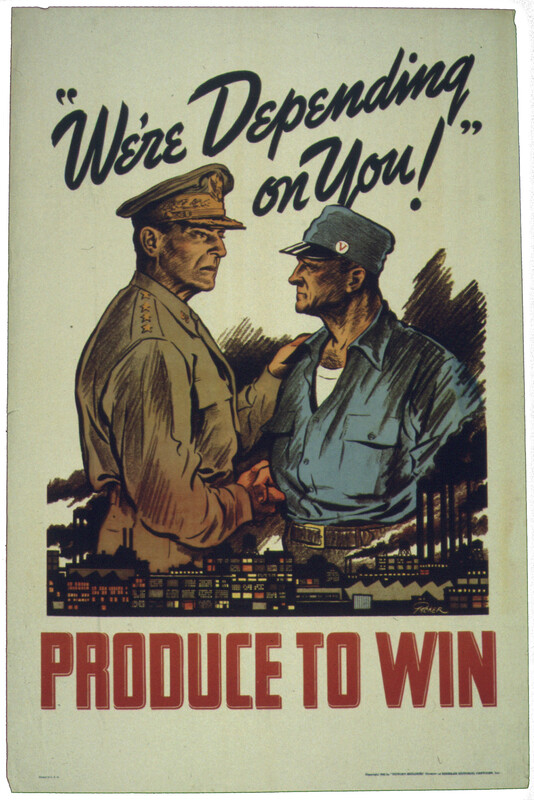 USA WW II Poster "We're depending on you - Produce to Win". File:"We're Depending On You" Produce to Win - NARA - 534395.jpg by the Office for Emergency Management. War Production Board between circa 1942 and circa 1943 in public domain.